WIBU-SYSTEMS AG offers you support from the initial concept through to the finished product deployment. WIBU Services assists you throughout your software lifecycle. 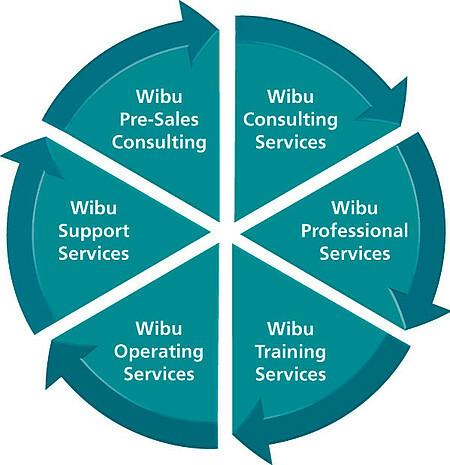 WIBU Consulting, WIBU Professional Services and WIBU Training Services provide a carefree package to assist you with implementating your solutions. WIBU Support Services help you deploy your finished application. WIBU Operating Services go the next step and implement a licensing solution to match your needs. No matter whether its technical advice about how to integrate our products into your system, or you just want to develop new protection or licensing strategies for your product, our consultants are the right people to turn to. 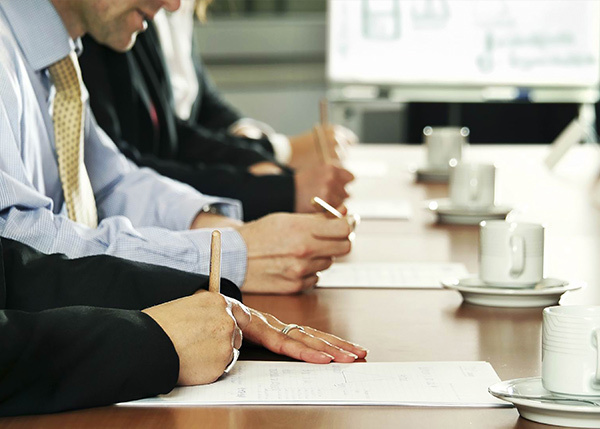 All consultants regularly attend training courses to stay abreast of modern technological developments. You can rest assured that you are getting competent and expert advice. We never lose sight of the real purpose: protecting your intellectual property as the source for increased profits from the successful global distribution of your software products. Our many years of experience with the successful implementation of software and hardware projects means our specialist teams have the expert knowledge and flexibility to find the solution best suited to your company's requirements.